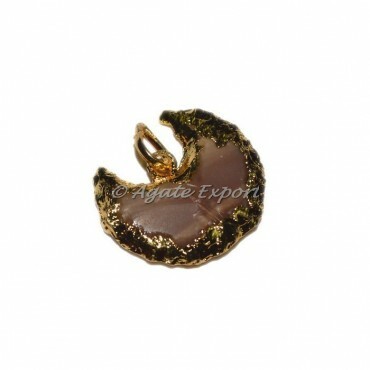 Splendid Agate pendants in a cresent moon shape helps in stabilizing energies at home and aids in solving many physical ailments like rheumatism and kidney stones. Furthermore it can also help in removing sorrows. It is also associated with the root and sacral chakras.